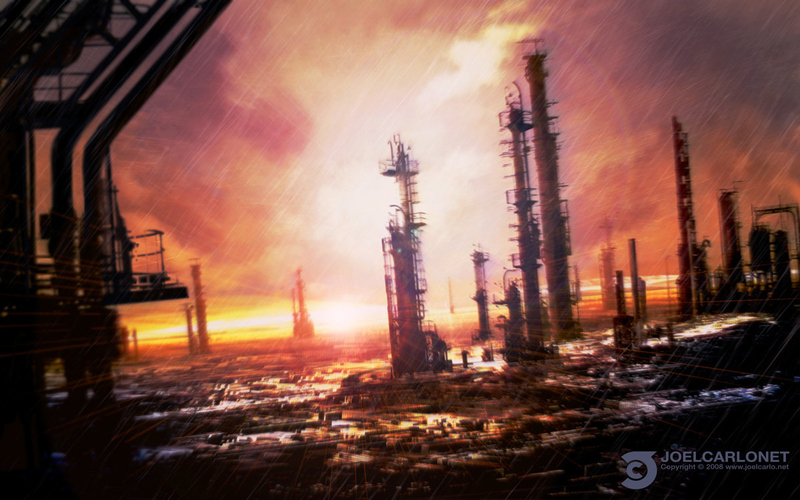 Had some fun today making greebles in zbrush and ended up creating this concept environment as a result. The greeble procedural was used for the land effects. Everything else was painted in photoshop. Some final lighting effects where added in after effects. All in all about 5 hours total.